Ms. Mao earned a B.A. in English Literature and Psychology from the University of California, Irvine. There, a vista of literary possibilities opened up to her, particularly the era of Modernism in literature, both its impacts in the US and abroad. She earned a teaching credential from Cal Poly Pomona’s Teachers College shortly after completion of her studies at UC Irvine, eager to share her passion for literature with young minds. After earning her teaching credential, Ms. Mao had the opportunity to teach 7th and 8th grade English at Mesa Robles, a California Distinguished Middle School, in Hacienda Heights, California. During this time, she taught English courses aligned to California State Standards and her students had the opportunity to discourse prominent works of prose and poetry ranging from Edgar Allan Poe’s “The Tell-Tale Heart” to Walt Whitman’s ” I Hear America Singing” to poems by Pablo Neruda. After years of teaching, she wanted to continue her education as a believer of lifelong learning. Ms. Mao moved to New York City to pursue a Master’s degree in English and American Literature from New York University. This experience not only unlocked her eyes to American writers such as Jack Kerouac and the 1950s Beat movement in New York City, but it also helped her to learn how location, geography, topography, and metropolitan landscapes can both influence and inspire the written word. Upon graduating from NYU, she began teaching for Success Academy Charter Schools, a network of charter schools that are trailblazing the path of educational reform and reversing the achievement gap among students in the US. In the State of New York, Success Academy schools ranked in the top 2.5% in English. As a 9th and 10th grade English Literature teacher, Ms. Mao is committed to providing a world-class education to her students by incorporating college prep curriculum. Among 1,000+ teachers, Ms. Mao was also selected as a recipient of Success Academy’s Teacher Excellence Award for the 2014-2015 school year. 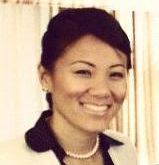 Ms. Mao is thrilled to be joining the Mill Creek Academy’s college admissions consulting team. An expert at essay commentary, Ms. Mao looks forward to assisting students through the personal statement revision. During free time, Ms. Mao enjoys crocheting, perusing museums, exploring the greater New York City area, and cuddling with her cat, Cheddar.